New Balance Minimus: When I bought the Muddy Monk Season Pass for this year, I went out and bought a pair of trail running shoes. Except for the blister I got when I made the mistake of wearing them for the first time at a race, they have been awesome shoes. However, they’re kind of heavy, and as I discovered during the Muddy Monk Double Down (which I’m just now realizing I never posted the recap for…) they are extremely heavy when soaking wet. I ran in them on Saturday, and I’m happy with them so far. Vibrams: I’m pretty skeptical of the whole barefoot running movement, but that does mean I haven’t been curious about these creepy toe shoes. So when my friend Scott posted a link to Vibrams for $30 at the REI Outlet website, I couldn’t pass them up. I’m not willing to spend $80 – $90 to give these shoes a try, but $30 I can handle. I actually really want to wear them for the Warrior Dash in June, and if that works out, Pretty Muddy in September. I should get these on Wednesday or Thursday. I signed up for two races on the same day, and then I nearly did it again. I’m signed up for 4 races in the month of June. This would be one every weekend except the Run for Boston 5K and Warrior Dash are in the same weekend. I’m hopeful I will survive. This Better Than Naked running jacket from The North Face: I really need a spring/ fall running jacket that is wind and water resistant, but I’m cheap. I have a hard time spending $130 on any article of clothing – let alone a running jacket that will be used pretty sporadically. However, it just so happens I have a birthday coming up and parents who love me dearly. As such, this jacket will soon be mine. A pair of running shorts that are comfortable! I hate shorts. I just don’t find them comfortable to wear – physically that is – it’s not a self conscious thing. I hate the feeling of fabric bunched up in my unmentionables area. Last week I bought what can only be described as hot pants from Old Navy in hopes that those would be better than typical running shorts. They’re better, but I’m still not a fan. I might just have to accept that shorts just aren’t in the cards for me. Run for Boston 5K – I’m just so amazed by the people from Chicago Running Bloggers and Muddy Monk and their efforts in getting this race organized and publicized and sponsored. Today the Chicago Tribune ran an article about the race. I created a new/ updated running page. I realized I’ve been pretty terrible about writing race recaps and even keeping track of the races I’ve run and my finish times. Thank god for the interwebs, I was able to find the majority of my times online. 1B. I imported all the posts from my old blog Girl Can. 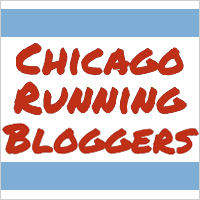 When I originally started Running in Chucks, I wanted a clean slate, but I also missed being able to link to old content – particularly running related content like race recaps and my marathon training posts. I started tracking my work-outs on Daily Mile again. I prefer the RunKeeper app to the Daily Mile compatible app I’ve started using, but I missed the community of Daily Mile. I also missed the blog widget – lame I know. We’ll see. I may just use both. We’re totally going to get you that PR!! So excited! mindy @ just a one girl revolution. recently posted..twosday, volume 20. I need to put together a training plan and maybe actually do some speedwork…maybe. I am seriously so excited for this. I might even be more excited for this than I am for HLS…maybe. It’s close. I feel the same way about running in shorts, it is just so uncomfortable and distracting! (I did play soccer for like 10 years, so I’m not sure why this all of a sudden is an issue for me…) Last summer on really hot days that I felt like I needed to wear shorts instead of capri pants I ended up wearing shortish running shorts with longer (but above the knee) compression shorts underneath. Also – YEAH ZOOMA Chicago! I can’t wait to cheer you ladies on!! I was a swimmer for like 10 years, and I hate to be wet so your issue with shorts isn’t that strange. Maybe I need to find some mid-thigh length compression shorts and try those.